As part of our efforts to improve email security, IMSS is making an Office 365 configuration change on Monday, March 26. One effect of this change is that users may be asked to re-authenticate on their email client. After, March 26th, if prompted to sign in again, please do so as shown in the images below. You will only need to do this once. 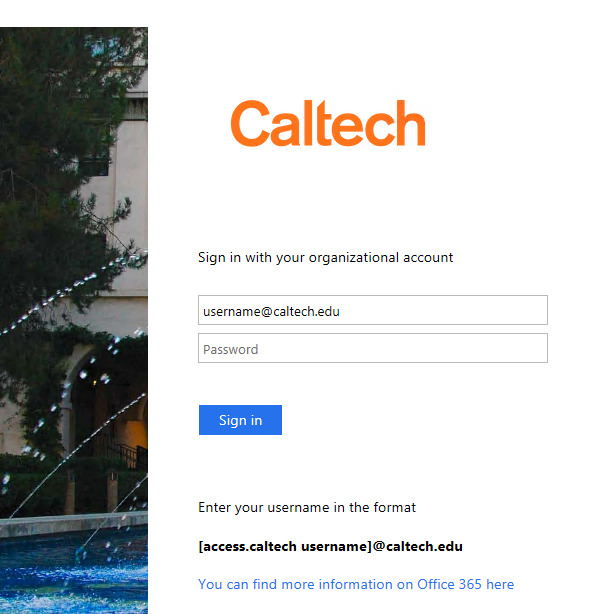 If you have any questions or concerns, please contact the Help Desk (x3500, help@caltech.edu, https://help.caltech.edu). 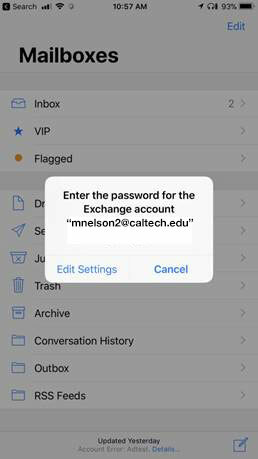 Mobile authentication prompt (may vary slighlty depending on OS), click Edit Settings and re-enter your credentials in the form username@caltech.edu and your access.caltech password.